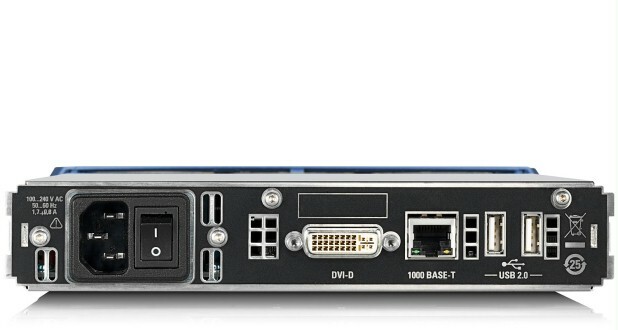 The R&S®AVG050 is a compact BTS gateway with integrated satellite receiver for ISDB-TB networks. In ISDB-TB transmitter networks, the input signals from the transmitter stations are often fed by satellite in compliance with the DVB standard. 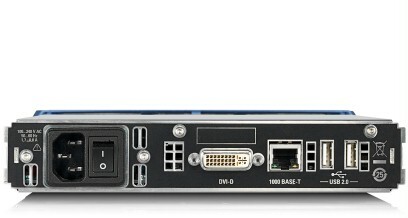 The R&S®AVG050 from R&S® has an integrated DVB-S/DVB‑S2 demodulator that can receive satellite-fed transport streams (TS). Two common interface (CI) slots are available for decrypting scrambled content fed from satellites. These CI slots can accommodate various conditional access (CA) modules to support two different encryption methods at the same time. The R&S®AVG050 also has an ASI interface for feeding in local services. The gateway remultiplexes the satellite-fed or ASI-fed services to a new transport stream. 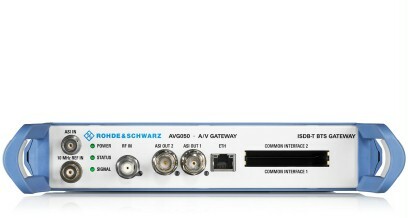 The gateway generates an ISDB-TB broadcast transport stream (BTS) with the appropriate modulation parameters for the transmitter. A clearly organized, intuitive user interface is provided for configuration and monitoring. All commands used for automatic monitoring and device settings can also be configured via an SNMP interface. 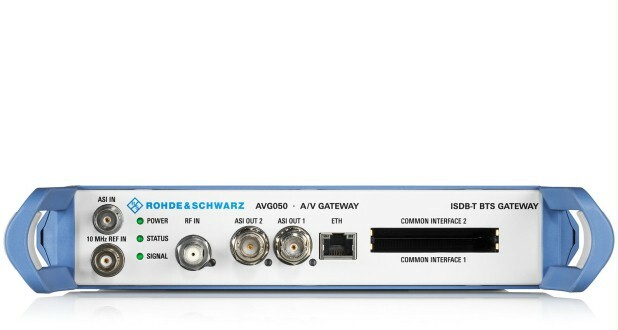 The very compact gateway is only half the width of a 19" rack and consumes very little power, making it ideal for use with ISDB-TB compliant terrestrial transmitters.